Very sadly we have had to cancel our 1940s Theme Night at the Gull, Loddon Road, Framingham Pigot on Friday 26 April. Stay tuned for more news as it happens. We had a great time at the Sailor’s Home on Sunday. We thought we played well. But don’t just our word for it - read this review from local music reviewer Patrick Nugent. Thanks Patrick! 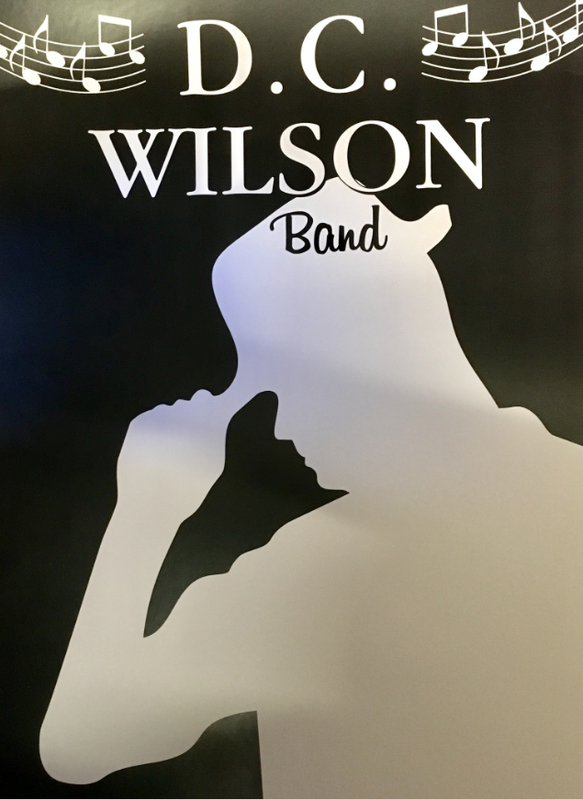 "The D.C. Wilson Band are a proper R'n'B band (not that pale insipid stuff that passes for R'n'B on the radio these days, which has little rhythm and no blues), and D.C.'s material cuts across many of the classic styles with great verve, and musical craft, from diehard Chicago blues, to New Orleans R'n'B, via Texas blues, the blues from the Delta (the heartland, where the Mississippi and Yazoo Rivers converge), British blues from the 1960s, soul, reggae, to Louis Jordan jazzy style swing blues from the 1940s. It was all there, and all delivered with impact and a feeling of the band having a great time playing it too, because, you see, this wasn't some serious educational heritage historical journey, but a blisteringly good time in which the heart of the music was beating strong.They were not being po-faced and academic about it, so, for instance, 'I Got My Mojo Working' was not done in classic Muddy Waters' style but reinvented as a jump blues. Excellent. Many of the greats got a look in: The aforesaid Muddy Waters' 'Hoochie Coochie Man' with Paul Poppy on lead vocal, Buddy Guy and Junior Wells' version of 'Messin With The Kid', Freddy King's 'Tore Down' (storming version), 'Crossroads' à la Cream, BB King's 'When It All Comes Down' from the great 'Midnight Believer' album he did with The Crusaders, The D.C.'s caught that laid back Crusaders groove spot on. There was also 'Gimme Some Lovin'', Flip Flop Fly', 'Money', 'Need Your Love So Bad,' 'No Woman No Cry', 'Superstition', 'Green Onions, as well as original 'Funky Feat', among many many others. But I think that little list gives you an idea of their great range. A great collection from the archives of truly great rhythm and blues in all its real forms. The D.C. Wilson Band are, (left to right across the stage); Nick on percussion and congas, adding a spicy, unusual texture to the rhythm section; Simon on guitar, playing an encyclopedia of classic blues, R'n'B and rock styles; Peter, rock solid on bass; Paul powering along on drums and supplying some excellent backing vocals; Henry on the keys, swinging along from Professor Longhair style New Orleans piano to Stevie Wonders' 'Clavinet' funky groove and also some cracking Hammond organ leads and chord jabs (so welcome to see keyboard player, because we don't get nearly enough of 'em around these days). 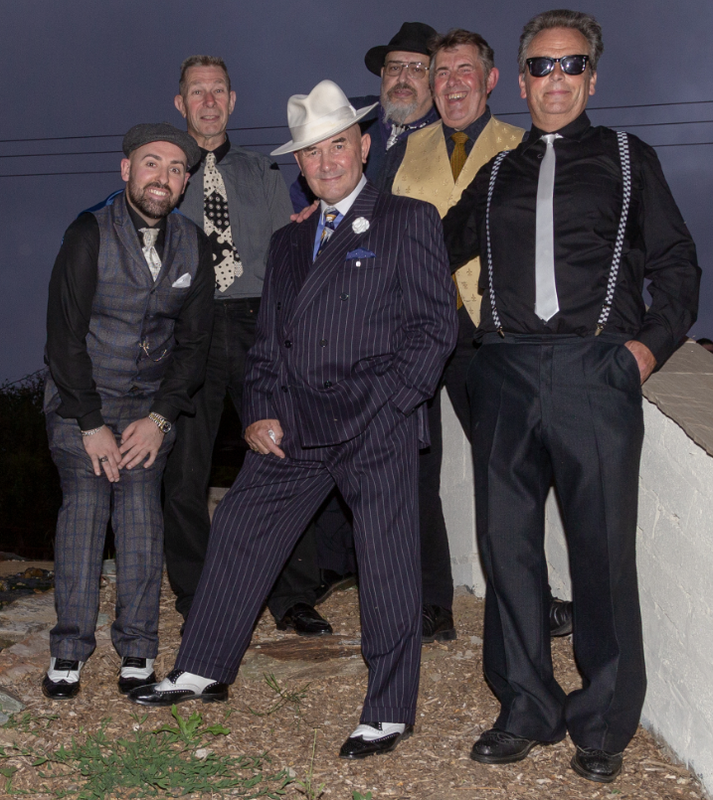 Then, of course, out front, the man in the hat, D.C. with all the R'n'B, blues, soul, funk, vocal chops you could wish for; all delivered with authority and panache (because it has to be said that they must also be the most dapper R'nB band on the circuit, particularly D.C. himself, our rhythm and blues flâneur-in-chief, with the trademark white titfer). They all play so well in a, what I characterise as, 'loose, but tight' style. I'm sure you know what I mean, you know, like The Band used to do. All in there, on the button, but all rolling along as a piece, with beats being shed left right and centre. D.C's vocals soaring over it all, sometimes sliding in behind the beat, or sometimes jumping right in on top of it. Brilliant stuff." This coming Sunday, 10 March, we'll be down at the Sailor's Home in Kessingland on the sunny coast of Suffolk, for a relaxed afternoon session starting at 3pm. We always have fun there, whatever the weather: it's a merry crowd. Do come down and join us. We kick off 2019 this Saturday (5th January) at the Walnut Tree Shades, a cosy bar in the historic heart of Norwich, and one of our favourites. Boogying starts at 9pm.